50 Small Businesses to Start in a Shipping Container – Seriously! Due to high construction costs and new innovations in architecture, more and more companies are turning to non-traditional facilities to house their business operations. Shipping containers in particular can be very utilitarian and cost effective. 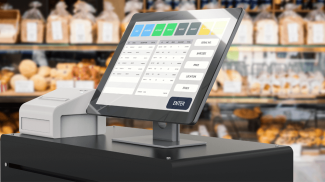 Here are some ideas for businesses that can work well in this type of space. Shipping containers can provide the space you need to run any kind of small retail business, like a clothing boutique. 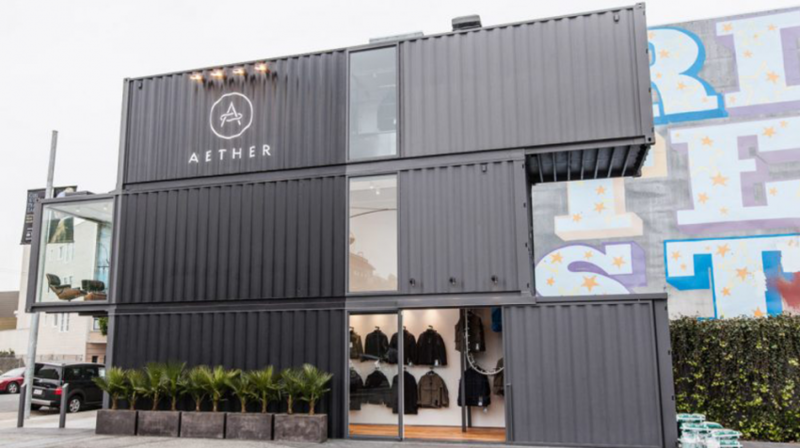 If you need more space, you can even stack them, like AETHER in San Francisco as seen above. Another type of small retail business, a gift shop can also be a perfect idea for a shipping container business, since the format could serve as an interesting attention getter for tourists. You could also open up a small antique store or refinishing space where you sell anything from furniture to collectibles. Perhaps you want to simply allow other businesses to use your space for special sales, holidays, or events. You could open up a pop-up location in a shipping container. You might even consider setting up multiple shipping containers in a single area and working with multiple shops and other businesses to rent out the space. If you have a creative skill or thing to teach a small group of people, use a shipping container to serve as your workshop space. You could even use it as a gallery space to display your own artwork or those from others in the community. 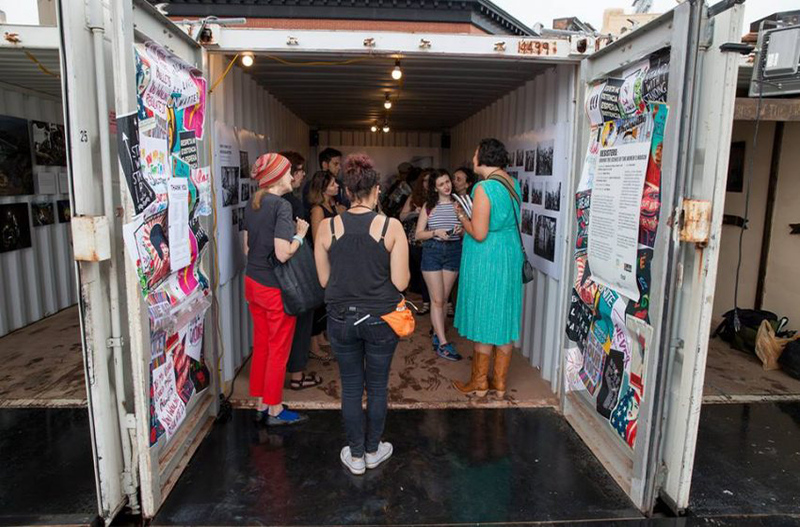 Photoville is an event in Brooklyn that has made use of shipping containers for this purpose. Bookshops are popular with tourists and event participants. And since books don’t take up too much space, this is another retail concept that can work in a shipping container. You can also simply use your shipping container as an office and storage facility to run an online shop. Use your shipping container as a small space to create flower arrangements, and set up somewhere where you can grow flowers or other plants right outside. Farmers markets are often held outdoors. But you could set up a series of shipping containers to provide a bit of extra shade and protection from the elements. You could also use it as a space to store and arrange the rental of equipment, ranging from tools for nearby homeowners to surf gear if you’re set up near a coast. 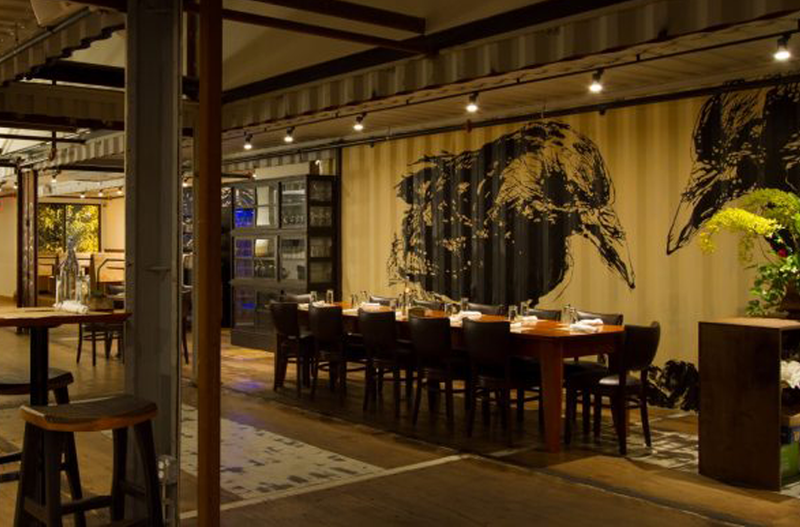 Smoky Park Supper Club in North Carolina has actually built around its initial shipping container model and become a destination in the area. Another type of food business, you could use the small space you have to create prepared meals that you can sell directly to consumers. You might also use the space as an area that customers can rent out for small dinners or parties. Or you could set up a small shop full of baked goods that people can purchase or enjoy at some small tables. The space could also be used as a coffee shop or cafe where you serve a variety of beverage options. For a more events focused business, you could use the space as a tasting room and bring in different local beer, wine, or other drink options. With a bar, a shipping container concept gives you the opportunity to build a small and intimate setting indoors and a more open outdoor area as well. The Gulf in Alabama is one example of this. You could even distill your own drinks in the space to create a more unique feel and menu. If you want to create a business that attracts tourists in your area, you could set up a shipping container as a small space that people can visit to find information. Or you could use it as the home base for a tour guide company, where your guides and visitors can leave from to view different parts of the area. For a more outdoorsy vibe, you could use it as the office of a campground. Or you could set up multiple containers that people can actually stay in when they travel. Similarly, you could make each container into an actual home space and then rent them out to long-term tenants. Simple, one-on-one service businesses can also work in shipping containers. You could use the space to set up a small hair salon. Or you could choose a similar focus, like offering manicures and pedicures. 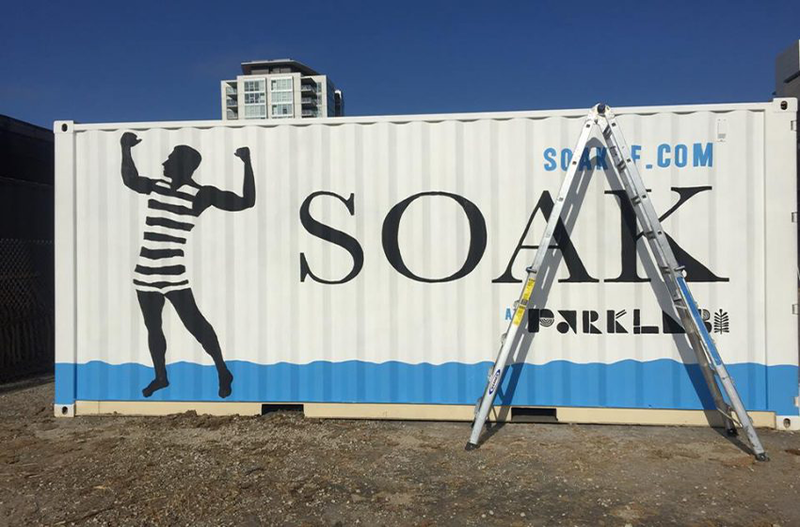 You could even offer a more well rounded group of services by opening up a spa in a shipping container, similar to what SOAK did in San Francisco. Massage therapy is another type of service that can work well in a small space like a shipping container. A storage container can also serve as a place where you can make small products to sell, like bath and body products. Similarly, you can use it to make candles or other small home goods. Or you could set up a shop where you make ceramic dishes and other products out of clay. It could also serve as a small wood shop where you make or refinish wood products. Similarly, you could use the space to make metal products or work with custom metalwork. You can also set up an ecommerce shop on a platform like Etsy where you can sell your handmade items. If you’re able to sew and measure effectively, you can start an alterations business where people bring or send in their clothing. A shipping container is also about the right size for you to set up some small dog grooming equipment. An architect could also use a shipping container as an office space, which could also serve as a way to show off a unique architectural style. Bicycle repair is also a service that only takes up a bit of room. A shipping container can also work for storing or processing products you might not want to bring indoors, like firewood. Or you could start a recycling service and use a shipping container as a space to organize everything. Computer repair can be done in a small space, but it does help to have a location where people can bring in their devices. Or you could use the space to work on refurbishing smartphones and other tech products that you can later sell. 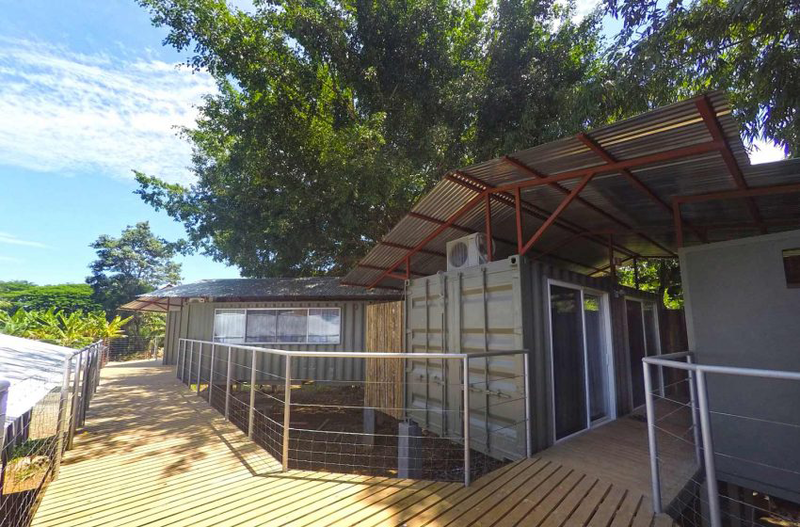 A shipping container can also work as a home base for one-on-one or small group tutoring sessions. You could even set up a small gym or workout facility and work with personal training clients there. Or you could offer small classes, like Danyasa does with yoga in Costa Rica. Another subject that lends itself to one-on-one sessions or small group lessons, you could teach piano, voice, or another musical instrument. You could also use the container as an office space where you meet with clients, even if you run a B2B business. 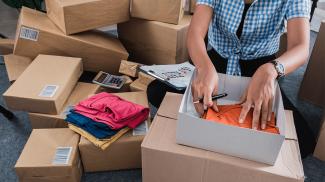 Since storage containers are most commonly associated with storing items, you could also set them up to use in that capacity as a self storage business. Or you could set up multiple containers and offer them as space that businesses in the area can rent out. But it is all about having a shipping container to begin with. It is nice to know that there are just so many possibilities. Annie: How do you get hold of a container? Do you rent it? I have seen these “metal and mortar” businesses popping up around in different places in Gothenburg city. I know you have special markets in London with several containers in one place. Oh My What An Idea! It’s really an interesting and Intelligent idea! 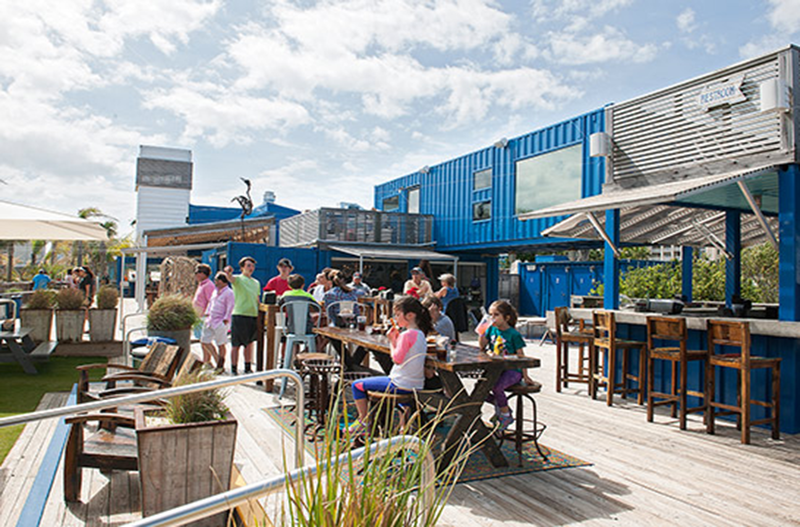 Using Containers for multipurpose businesses! For starters, this is the best option a 40′ container will do the trick. Oh, my so many options you shared in this post. Thanks, Stillwagon for sharing it here. This is now trending for today. I even saw one motel constructed out of container and is now operational for 3 months time and the owner testifies of great ROI. I love this article. It is so fun to see all of the different possibilities not only of how you can re-use a shipping container, but on how you can build a business from it. It is so fascinating. We at Cherokee West are always looking for innovative ways to re-use shipping containers. If any of your readers are interested in purchasing a container, they can check out our website (www.cherokeewest.com). We sell nationally. How do they use the bathroom?